Gallery: An online gallery of high quality 2001 Corvette pictures. Knowledgebase: C5 Knowledgebase covers related service bulletins and technical information. Owner Manual: This is a 383 page, 2.64MB PDF document of the 2001 Corvette owner manual. Paint Codes: Paint codes for the 1997 - 2004 C5 Corvette. Painted Wheel Codes: Paint codes for C5 painted wheels. Press Release: 2001 Corvette Priced For Maximum Value. Press Release - Overview: An overview of the 2001 Corvette. Press Release - Performance: This press release take an in-depth look at the heart and soul of the 2001 Corvette. 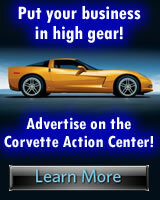 Press Release - Agility: This press release covers various performance related systems of the 2001 Corvette. Press Release - Refinement: This press release take a look at the 2001 Corvette's interior refinement. Production and Performance: Production numbers and performance reviews for the 2001 Corvette. Regular Production Options: A complete listing of RPO codes for the 2001 Corvette. Specifications: General specifications of the 2001 Corvette. 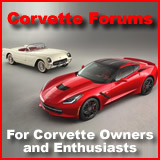 Videos - C5 Corvettes: C5 Corvette videos provided by our sister site - VetteTube.com.